Today I recieved my acceptance letter for grad school. I am thankful, excited, nervous, thinking about all I have to do between now and when classes start in July…. But I am taking a moment–more than a moment, I hope–to remember that the Lord has promised to do…”far more abundantly than all that we ask or think, according to the power at work within us….”. He has already done this for me….and continues to do it every single day. I don’t know what exactly my education will mean in the future, or in exactly what context He will lead me to use it (although I have several thoughts! ), but I do know that whatever it is, it will be far beyond what my wildest imagining could be. And for that, and for so many other blessings, I am utterly thankful. His grace is not only sufficient, it is beyond what we can even see. So, here is my attempt at it–I have chosen to put up little “snapshots”–just a few pictures, some prayer points, and a few links that you may find interesting. Today I will be posting some general pictures and prayer points–of and for the country of Haiti and city of Port au Prince. *This picture was taken on our drive from Santo Domingo, DR to Port au Prince, Haiti. There are long-standing tensions between these two countries. The IBG church we were associated with has been sending medical teams and food/water/tents to the people of Haiti–the Lord is doing a great work through this, not just by the ministry to the Haitians but also to heal some of these long-standing cultural tensions. *This is a former clinic and laboratory. I was struck by how the people of Haiti are picking up and moving on with life–they have to find ways to make money, to find food and water, and to start to put their lives back together. *This is another picture taken in Port au Prince. I found it staggering to think that in the 28 seconds the earthquake was felt, the ground was shaking so badly many people could not get out of their houses. Every time we passed a building that had fallen, I was sobered by the loss of life that was represented. 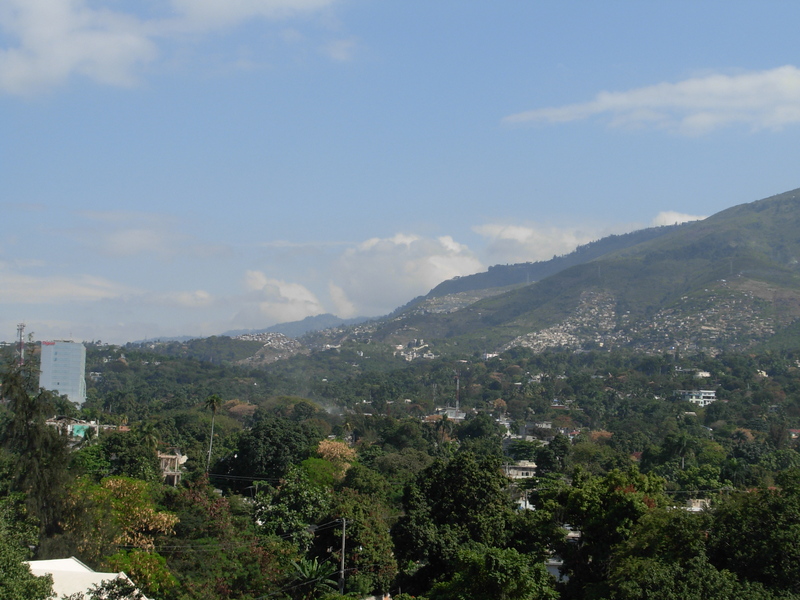 *This is a picture of a small part of Port au Prince, taken from the roof of CDTI hospital. It is amazing how the Heavens still declare the glory of God (Psalm 19), even as there is so much destruction on the ground. *Pray for the Lord to send His spirit to the people of Haiti. Pray for revival of faith in God;this is the only hope Haiti has for recovery of the country and integrity in it’s government. *Please pray for those that experiences loss during the earthquake. Pray for healing of their spirits and souls, through Jesus Christ. Pray that the Lord would send people to them to tell them about the hope that can be found in Christ. Pray for the emotional healing of the country and also the physical rebuilding process-pray practically that a system would be put in place to manage the rubble and repair the cities and streets. Many, many thanks to those of you who upheld our team in prayer and financial support while we were gone. I am at a loss to express how much I appreciate this. We felt your prayers…and were encouraged to know that we had your support. I hope as you see these posts, you feel a part of what happened while we were there–thank you for your faithfulness. Just a thought, as I gently placed my stethoscope on the chest of a seventeen-year-old boy a few days ago. His body is deformed, little tiny legs and arms have contracted into awkward angles…his face shows very little, if any emotion. His head is swollen at the crown in a huge, awkward protrusion. His eyes appear blank and his mouth, instead of being used for talking and eating and smiling, pools with thin secretions from his barely-functioning lungs. He cannot move on his own, except to occasionally shake violently with muscle tension and seizures. And yet, through it all, this young man is in the Image of our Great God. His mother loves him dearly–our God loves him even more. And in His wisdom, He allowed for the oxygen to be cut off from his brain during birth, causing his current state. Everything, every single act, every single creation, that our God does is good. This young boy is in His image, for His glory. Here, finally, is the first installment of my Haiti trip reports. I thought it would be good to start off by saying that the Lord answered our and your prayers! Some, even before we had prayed them. He is indeed faithful! *The Lord provided so many small “blessings” to us, through the Dominican church and through the Quisqueya school campus, where we stayed–we had a school room to sleep in (that had ceiling fans! ), showers, running water, and working American-style bathrooms where we stayed–more than any of us had ever hoped to have while down there! *Our team had a lot of unity and worked together very well. The Lord answered your prayers directly, and I was so blessed by each member of the team! *We did have interpreters while down there (praise the Lord!). 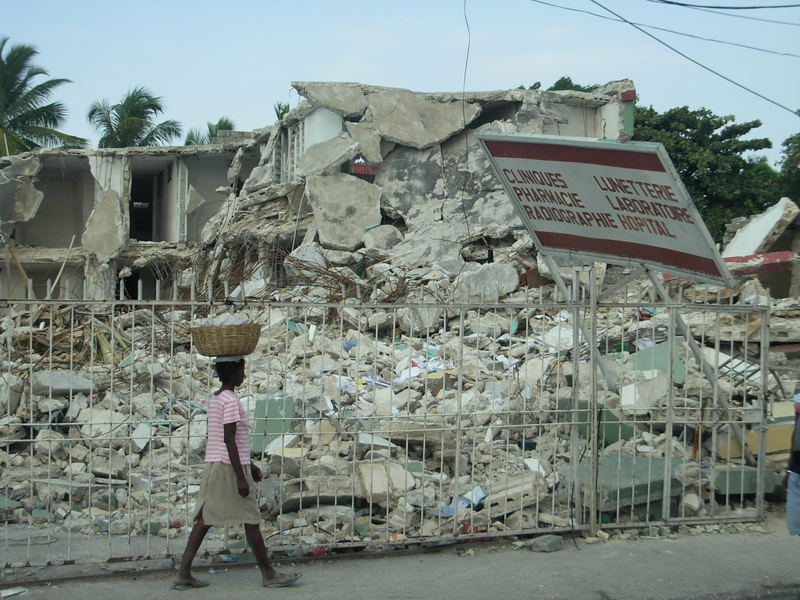 Many of the university students in Port au Prince were no longer able to attend school, because most of the universities were destroyed. So, the school and the hospitals hired many of them to translate. One day while doing a clinic at a tent city, we prayed specifically for a female interpreter, to help two of our team work with the women in a gynecology tent. The next day, the Lord answered our prayer and we not only had a female interpreter, but a very, very good one! *While at the tent city, we had to send one of our team members to the hospital an hour away with a patient. The ambulance was very late in coming back with Lee. We immediately sat down and prayed as a group for their safe arrival. Within a half hour the ambulance arrived, with Lee intact : )–it had broken down several times along the way but they did indeed make it back safely. *The Lord gave grace in that most people did not get horribly sick while down there–a few bouts of illness, mostly lasting a day or so, were mostly the extent of it. One team member, Stacy, was very sick by the time we left–but overall the Lord sustained our team and gave us health. *The Lord answered prayers and gave us all the wisdom we needed to function (we hope!) safely as medical professionals. Yes, our abilities and knowledge was stretched beyond our usual scope of practice–but because we had MDs with us, and such an amazing variety of nursing specialties (the Lord definitely directed this as well! ), we were able to provide good care to the patients. *On a personal level, the Lord sustained my joy while I was down there. I felt eager to be there, eager to support our other team members, and I feel that the Lord was giving me eyes to see things that were hopeful or joyful. One day at the Rescue Mission (tent city by the presidential palace), we had just gotten off the bus and Omi, the RM leader, immediately took us by the hand to see a baby that had just been born a few hours prior to our arrival. “See the baby! Come see the baby!”, she said, with such joy and hope. It encouraged our hearts so much to see her joy and the joy of the family in the birth of their son. There were many other, much smaller, moments of joy and hope that the Lord allowed me to see–some ridiculously small (such as the Dominican church bringing us extra food, which included Pop Tarts! ), some big (such as the Lord preserving us as we were nearly hit by a truck going up a twisting and steep mountain road), and some that were, for whatever reason, encouraging. I had the opportunity to talk with and give medication to a very, very old woman while we were in the mountains. Seemingly not a big deal, for us at least, as we were seeing so many people that day. However, this woman (who looked to be about 97), wrinkles cut deep in to her face, had such a joy and happiness in her eyes (and a HUGE smile to go with it! 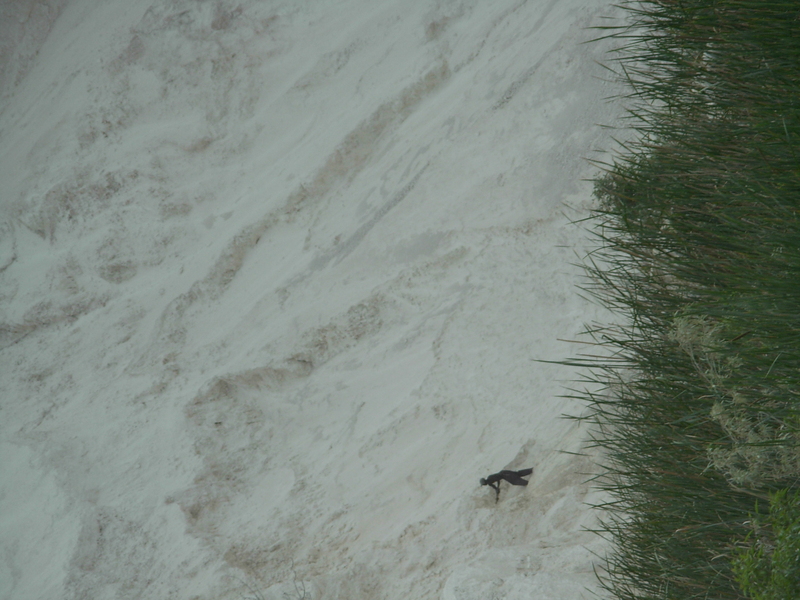 ), touched my heart and encouraged me that day. I could go on-there are so many stories to share. However, as one of my goals is to keep my blog posts short and readable, I will stop for now. In the next couple of days I will post again, hopefully with some pictures. In the mean time, please rejoice and thank the Lord for all of his answers to prayer! We are home, safe and sound. We had a little trouble getting lost in PAP yesterday, but by grace made it safely! Keep checking back–I’ll have pictures and stories up very, very soon! Thanks so much for all your prayers–I know God heard them, and I have many stories of direct answers to prayers and times when I am certain that we were kept safe at least partially because of the prayers of the Saints! Yes, we are alive and well…so far only two people have needed IV’s due to gastrointestinal-issue related dehydration : ), but a little fluids and cipro and they were fine! : ) Overall everyone is doing well. We are so very, very thankful for such a wonderful place to stay–we are provided with food every day, running water, and showers. The Lord is providing for all of our needs–answering direct prayers in amazing ways, and providing things before we even ask Him! 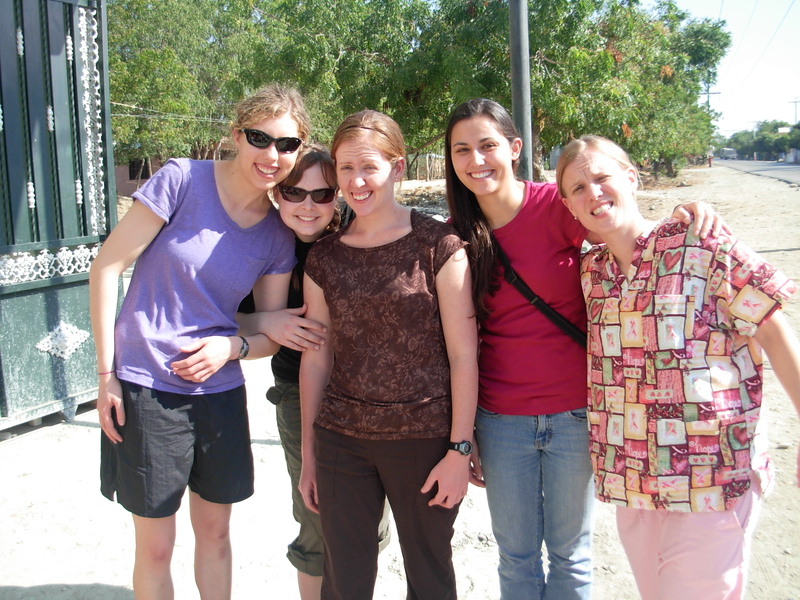 One example–we had a gynecology “clinic” set up in a tent city one day, and had a need for a female interpreter. We prayed that night for the Lord to provide one–and not only did he provide the female interpreter, but she was excellent to work with. We have spent the last few days working in a few different clinics–we spent our first two days in a tent city clinic, with lines and lines and lines of people waiting in the hot sun to be seen. Yesterday we went about an hour north and worked at an outdoor clinic (under a tree, no less! ), seeing the under-served people living in the more rural area. Today my team went to Leogone (sp? ), where the epicenter of the earthquake was. 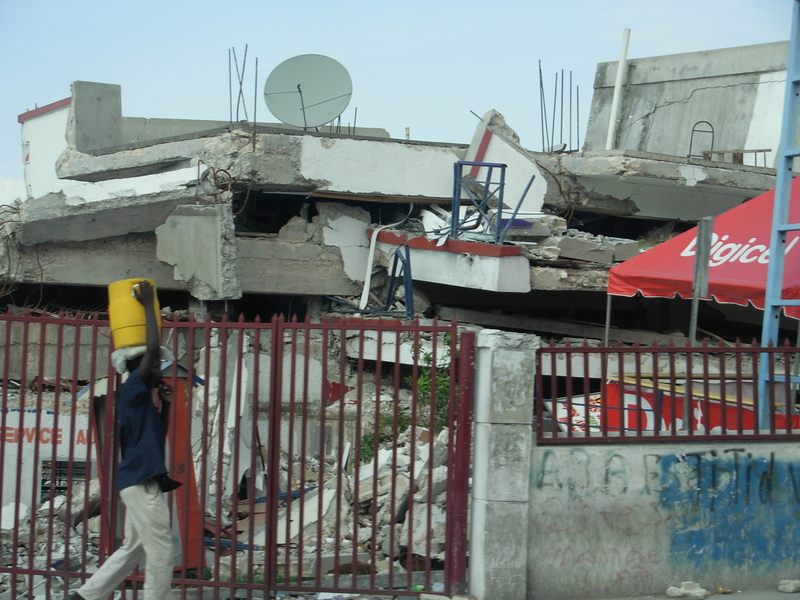 There the destruction was even more evident than in Port Au Prince….but there I felt I was able to connect with more people than I have in other places. We walked a few blocks down to the beach after we were done seeing patients today–I had four Haitian children holding a couple of my fingers a piece, and a few on my arms and at one point one little girl even was walking behind me holding on to my scrub top. We sang some songs, they taught me some Haitian…it was a short period of time, but so precious. It is very overwhelming and hard to think that we are here for a short amount of time, handing out 30 days worth of pills–which will run out. One thing we try to keep in mind is that without us being here, they would not be getting any kind of care at all…and if we can relieve suffering or pain for even a short time it is worth it. But it has opened my eyes to the fact that only God can save these people…there is hope, but it will have to be our sovereign God that brings help to these people. We have met some wonderfully dedicated people who want to spend their lives serving the Haitians–one couple (at yesterday’s clinic) have taken 20 Haitian girls, so that they can be their legal guardians for life. What a commitment…and what a grace from God! Just a quick update, from Port Au Prince! We made it to Haiti safely….we had a delightful (yet middle of the night!) visit with the church in the Domincan–we were all hosted by families in the church overnight and then started driving at 8:00 this morning. The guards didn’t stop us at the border between the Dominican and here, which was both an answer to prayer and a huge blessing–this meant that we did not have to stand for hours waiting while the guards looked through all of our belongings. We are all tired, but have had a very restful and relaxing evening. We are staying in a school-turned-“base camp”–which means running water, bathrooms, even showers!! (cold, and short, but nonetheless existent!!!) Praise the Lord for this….we feel very. very blessed to have resources far beyond what we expected. The people here at the school have set up an excellent system for feeding everyone; the US military is in Haiti and some are staying here at the school. We are quite safe, with the US Army plus guards at the gate. Thank you all for your prayers…please pray for continued mercies, and wisdom as we begin to see patients tomorrow.